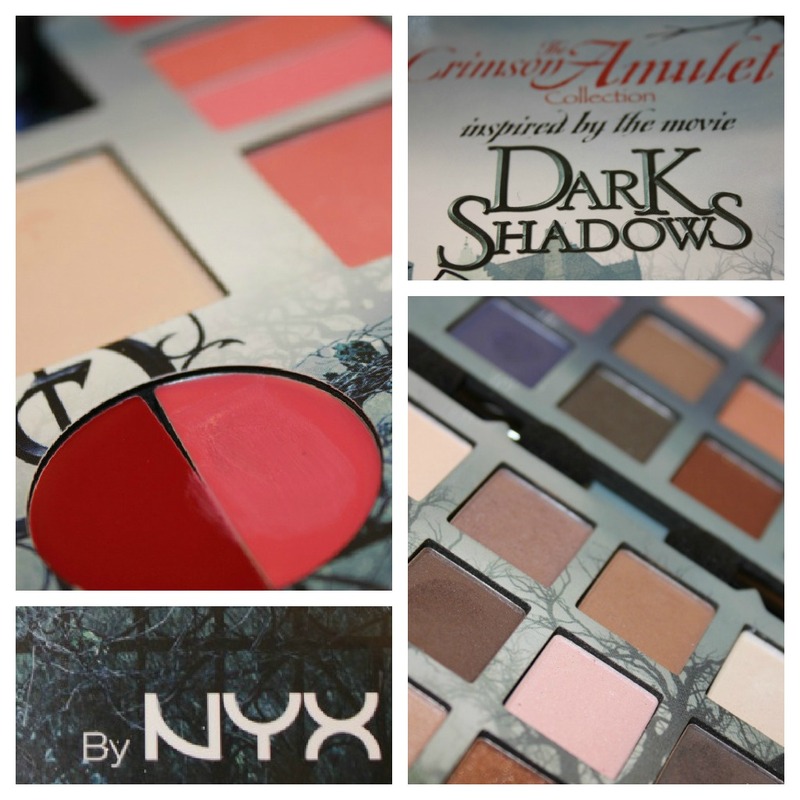 NYX is one of my favorite beauty brands. they have a full range of products, great colors, good pigment, a variety of options and extremely affordable. they also happen to put out these fabulous multi-product collections which brings everything you could ever need into one place. the NYX Cosmetics The Crimson Amulet Collection was released last spring, but the color selection is perfect for year round. 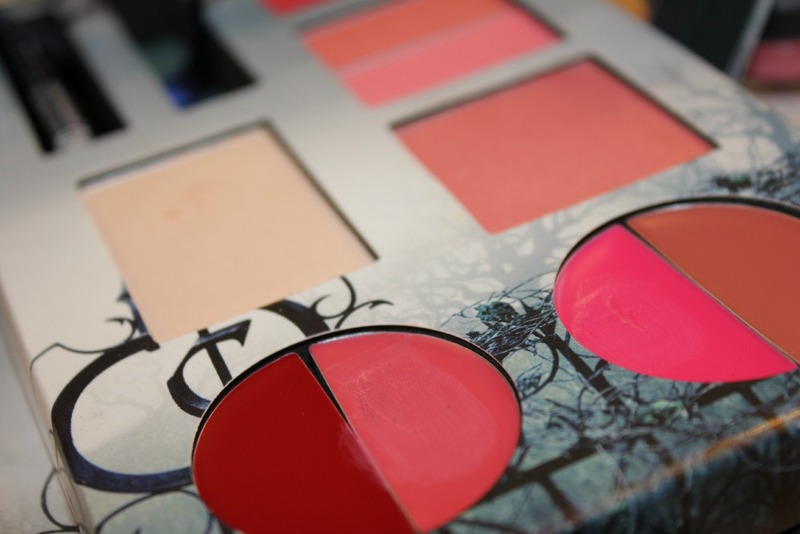 included are lip colors, blushes, highlighter, liquid liner, mascara and 32 eyeshadow shades. think of it as your portable makeup kit - the only thing missing are brushes. this fiercely awesome palette (inspired by Tim Burton's film Dark Shadows) has been at the forefront of my makeup lineup the last few weeks. i like that i can quickly put together a look without digging through my makeup drawer for all the right colors. the best thing is that it is only $9.99 here. makeup is all about enhancing what you've got and using the right shades and shimmers will make cheekbones appear stronger, eyebrows higher, lips fuller and noses straighter. yes, you can do all that with a little powder and some know-how. using the lip colors and the shimmer/highlighter powder included in the palette, i put together this lip tutorial highlighting one of my favorite makeup tricks: plumping up your kisser. 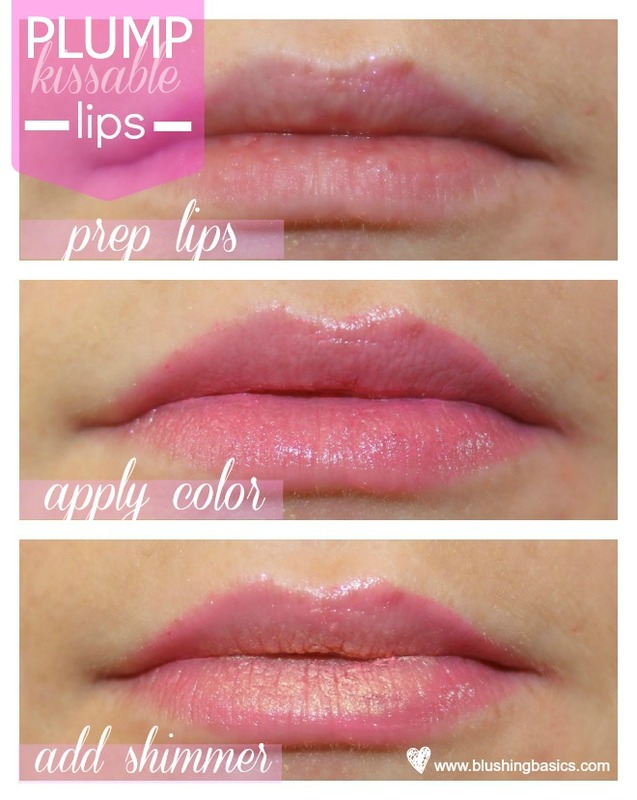 by simply applying some lip color and a dab of shimmer powder, you too can have plump, kissable lips. love how you did the lip look! Looks so so pretty!